Today we have a fun money themed post featured over on the Ellison Education blog using their money die cut! They turned out SO great and have been such a HUGE hit with our elementary kids at school. We used our Ellison AllStar SuperStar machine (UNDER $100!) but check out the post even if you don’t have a die machine as it’s incredibly easy to make your own set! 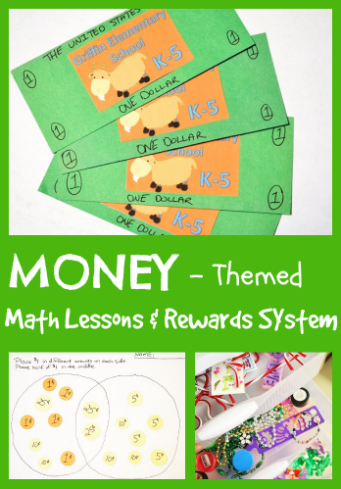 Give me any information about teaching money themed units.